What are the car sticker options? Are they compulsory? 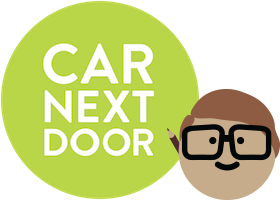 When you first list your car with Car Next Door, we'll come out to install it with the technology required for sharing and your choice of stickers. These stickers are optional, but do help get the word out about your car. You can choose from one our 16 sticker designs to be applied to your car. These can be easily removed if you ever need to stop renting out your car and won't damage the paintwork. You're asked to select your choice of sticker when you first apply to list your car, or when we call you book in the installation. You can choose from three different sticker placement options. You're welcome to request a different combination of stickers if you wish. Just discuss it with us before your installation date. If you would like additional stickers or your stickers are looking a little drab and need to be replaced, let us know. We can post them out to you free of charge. The stickers are not compulsory. We respect that you may not want the stickers on your car, and you are in no way obliged to have them. It's just another way to get the word out about your car, and they have been proven to be one of the major sources of generating interest among new and existing borrowers. It also adds a little personal touch as you can choose which face you would like. If you would prefer not to have stickers on your car, please let us know when we book your installation. What technology is installed into my car? What about cars with keyless entry?